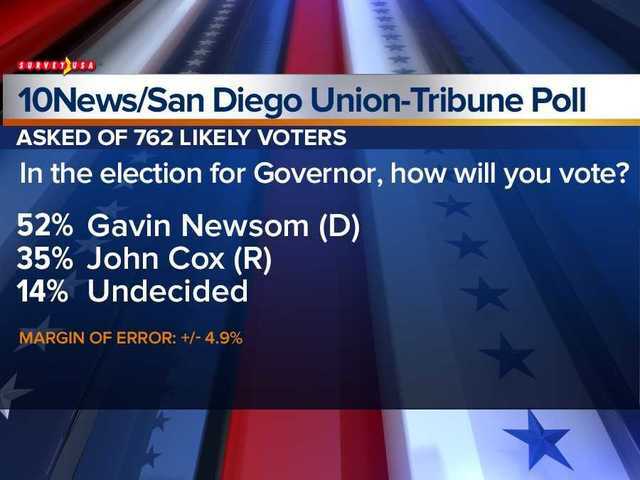 SAN DIEGO (KGTV) - California gubernatorial candidate Gavin Newsom and state Sen. Dianne Feinstein lead their respective races, and support for a repeal to the state’s gas tax is strong, according to a new poll conducted by SurveyUSA . 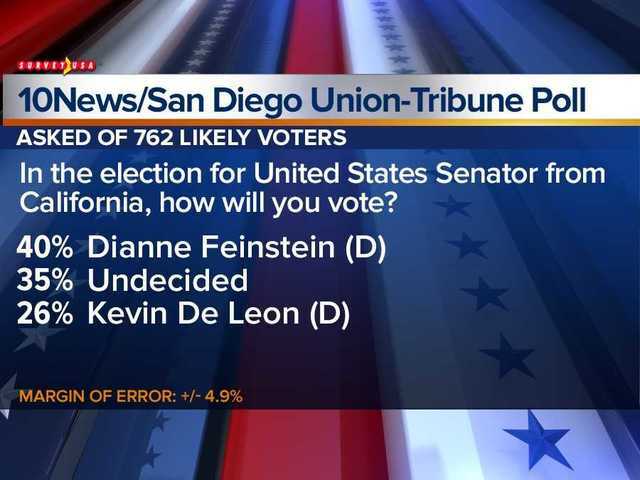 The scientific poll , which was conducted for 10News, the San Diego Union-Tribune, KABC in Los Angeles, and KPIX in San Francisco, asked California voters how they would vote with less than a month before the Nov. 6 election. When it comes to the state senator’s race, the incumbent Democrat Feinstein -- seeking her fifth term in the U.S. Senate -- holds a 40 percent to 26 percent lead over fellow Democrat Kevin De Leon. The poll shows there are 35 percent of voters who are undecided on this race. A good percentage of voters are in favor Proposition 6, which would repeal California’s gas tax that was just enacted in 2017. The poll shows 58 percent of voters want to do away with the tax, while 29 percent would vote against a repeal. Another hot-button issue in California, rent control, is a seemingly closer call, according to the poll. Forty-six percent of voters said they would vote against Proposition 10, which would give cities and counties more freedom when it comes to instituting rent control. 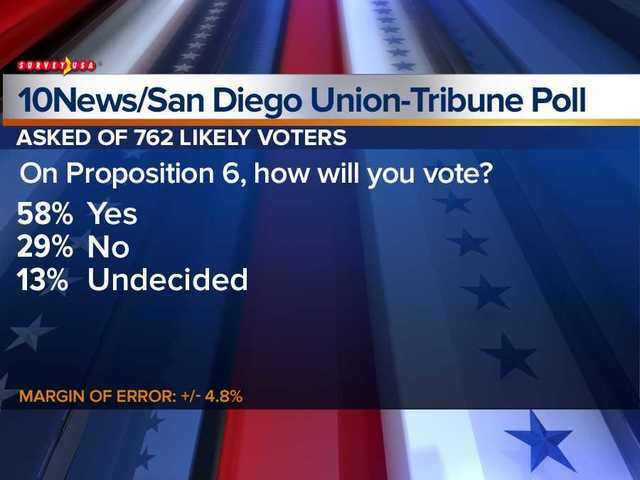 The poll shows 36 percent of voters support Prop. 10.